Dr. Robinson received his Bachelor’s Degree with a major in Biology from Drake University. He completed his medical education at Des Moines University and his psychiatric residency at the University of Iowa. He has been practicing in the Des Moines area for 7 years, including previous work at Iowa Health/Unity Point and 2 years as the Medical Director for Eyerly Ball Community Mental Health Clinic. He is Board Certified in Adult Psychiatry with the American Board of Psychiatry and Neurology. Dr. Eastin graduated Phi Beta Kappa from Purdue University. Medical education was completed at the University of Iowa, College of Medicine. Internship and residency in adult psychiatry were completed at Vanderbilt University. He is Board Certified in Adult Psychiatry with the American Board of Psychiatry and Neurology. Prior experience includes administrative and clinical roles in hospital systems and in private practice. Dr. C. Scott Jennisch received a Bachelor’s Degree with a major in Biochemistry from the University of Iowa. He completed his medical education and adult psychiatry residency at the University of Iowa as well. He worked for Mercy Medical Center in Des Moines for fourteen years, in the outpatient adult psychiatry clinic, on inpatient psychiatry, training in TMS, teaching students and residents and working with the medically ill in the general hospital setting. In addition to his clinical work, he has experience providing independent medical evaluations for civil legal cases. He is Board Certified in Adult Psychiatry by the American Board of Psychiatry and Neurology and a member of the American Psychiatric Association. Dr. Koele received her Bachelor’s Degree from Creighton University and her medical degree from the University of Iowa, College of Medicine. She completed an adult psychiatry residency and a child/adolescent psychiatry fellowship at the University of Iowa. She then served as clinical faculty at the University of Iowa for 8 years, prior to joining Mercy Medical Center in Des Moines. She worked in the adult outpatient clinic for 10 years. She is Board Certified in Adult Psychiatry and Board Certified in Child and Adolescent Psychiatry by the American Board of Psychiatry and Neurology. Her practice at Iowa Psychiatry, LLC is limited to adult patients. Jenn Norton received her Bachelor’s Degree and completed her graduate education at Allen College in Waterloo. She is Board Certified in Adult and Adolescent Psychiatric and Mental Health Nursing. Her work experience includes work at the University of Iowa Hospitals and Clinics and Mercy Psychiatric Services in Des Moines. Her practice at Iowa Psychiatry, LLC is limited to adult patients. 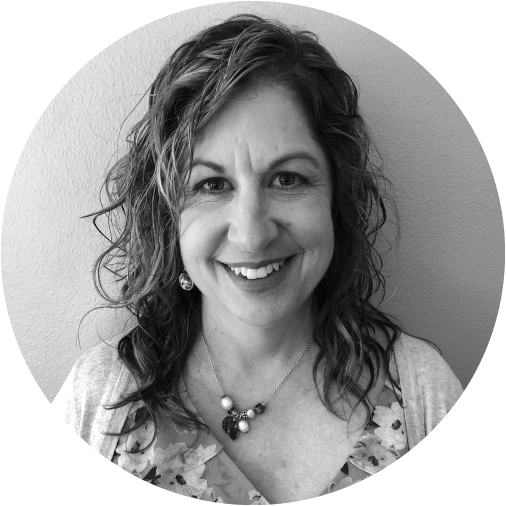 Cindy Teasdale completed her Bachelor’s Degree in Nursing from University of Central Missouri, and completed her graduate education at Clarkson College in Omaha, Nebraska. She is Board Certified in Family Medicine and specializes in psychiatry. Her work experience includes Mercy Clinics Mental health and Mercy Hospital Psychiatric Services in Des Moines. Her practice at Iowa Psychiatry, LLC is limited to adult patients.